Gov. 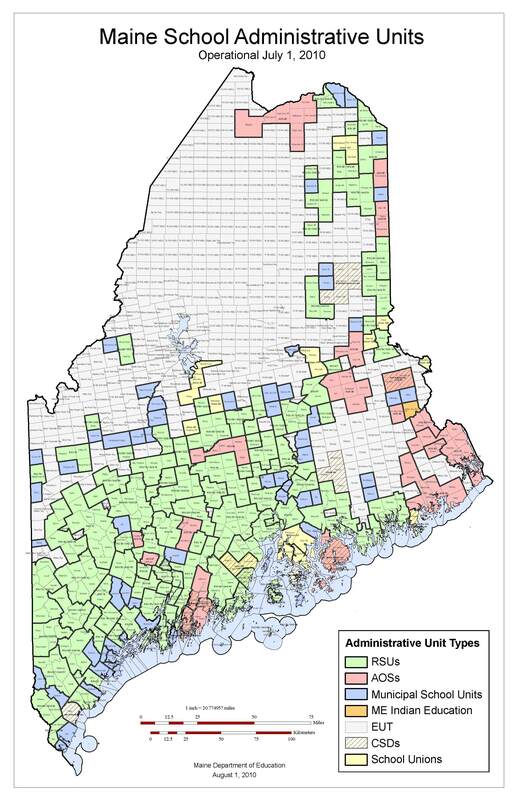 Paul LePage has proposed changes to his original biennial budget that amend plans on teacher retiree health benefits and attempt to make the state’s share of the cost of education – required to be 55 percent under law – look better than it really is. The proposed changes, released on Friday as part of an overall plan to plug holes in the governor’s original biennial budget, are being reviewed by the Appropriations Committee today in public hearing. The parts of the so called “change package” that affect schools include a change in the governor’s original budget that would have required teachers and certified school administrators to reach the age of 65 before the state started paying 45 percent of their health insurance. In his new proposal, Gov. LePage keeps that 45 percent payment for those that retire at normal retirement age, which is 62 or 60, depending on a person’s date of hire. The governor also wants to change the date when other proposed changes to the retirement system would go into effect. The original proposal had changes going into effect on Jan. 1, 2012, but that has been moved to July, 2012. That gives teachers and administrators more time to consider their retirement plans. Also in the change package is a proposal that would include the state’s share of teacher retirement and teacher retirement health care in the calculation done to see if the state is meeting its obligation to pay 55 percent of the cost of education. The Maine School Boards Association and Maine School Superintendents Association is testifying in opposition to this change, saying it is a “subterfuge and manipulation of the numbers” being made to make the state look better. 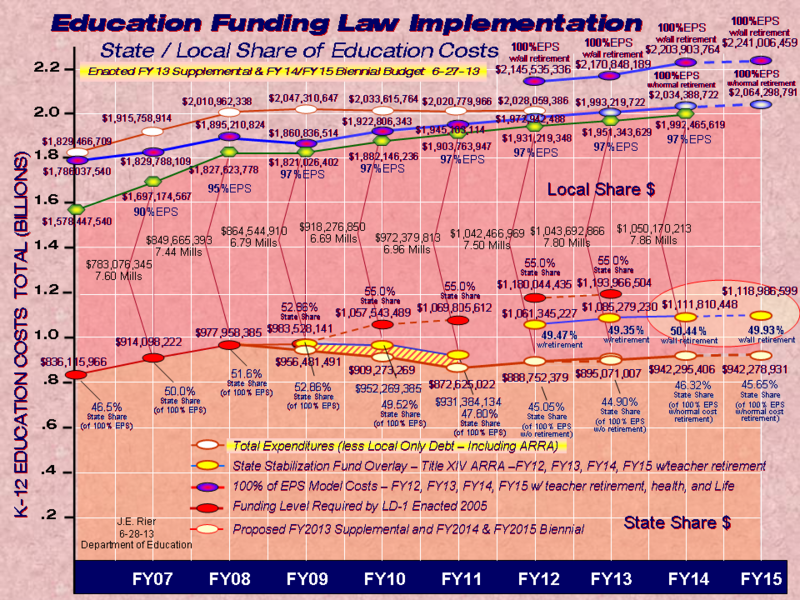 The cost of K-12 education is defined by the Essential Programs and Services funding formula and state share is supposed to be 55 percent under law. Retirement costs are not part of EPS. “EPS does not include retirement costs and therefore the calculation of state share should not include retirement costs,” the associations said in their testimony. “We are aware that reaching 55 percent of EPS is not doable in the near future, but we should not abandon it. Voters have a right to know how the Legislature is doing against that goal, which was established through referendum and is part of state law,” they concluded. Further bulletins will be issued as the governor’s proposed budget moves through committee.